Welcome to Vieques Island Charms. Keep a piece of Vieques close to you where ever you are. 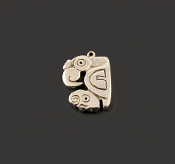 Each creative piece of our sterling silver jewelry is hand carved in wax and then cast in sterling silver by the lost wax method. 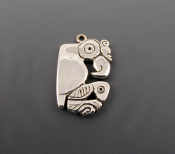 The jewelry is then hand finished to a high polish and includes a small silver loop for hanging on your favorite necklace or bracelet. 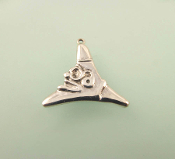 We recently added several new items to the store so check out each charm on your vist. 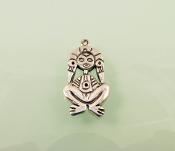 These new silver items will make a great addition to your Vieques jewelry collection. 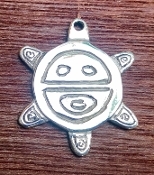 We recently added our take on the Coqui Taino found throughout Puerto Rico to our collection. 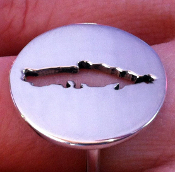 Check out our newest item, a Vieques inspired ring! A special thanks to Amity at Amity Jewelry for helping with the pictures. We are excited to share these new items and hope you enjoy them as well! 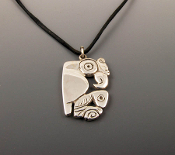 As we continue to research cultural and natural artifacts, we will create additional jewelry, charms and pendants inspired by the Island of Vieques. Feel free to contact us via email on the contacts page or at (413) 329-6238. 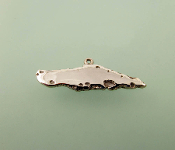 We welcome custom orders, and can cast in any metal desired (additional metal charges apply). Please contact us for a quote on cutsom work. Also, don't forget to check back often to see if new items are available. Find us on Facebook! 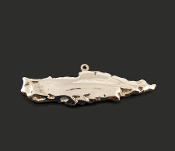 Just look for Vieques Island Charms!